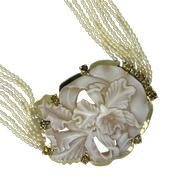 The charming young woman wears our stunning Cattelyea Laeliinae Orchid hand-carved cameo neckpiece with coordinating earrings, purchased separately. 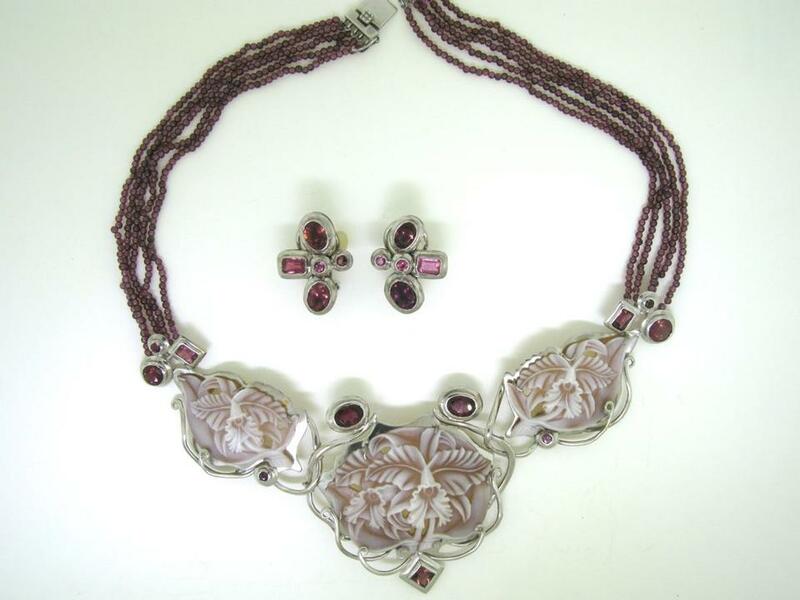 The neckpiece is set in luxurious 950 silver and feature richly hued rubellite tourmaline and raspberry pink garnet gemstones, all bezel set. The exquisite cameos measure 45, 40, and 41mm in size and are rendered in the exclusive latticework style. Registry # 2645, 2646, 2647; Accompanied by Certificate of Authenticity. Illustrated in Rock & Gem magazine, August 2014, The Art of Cameos". 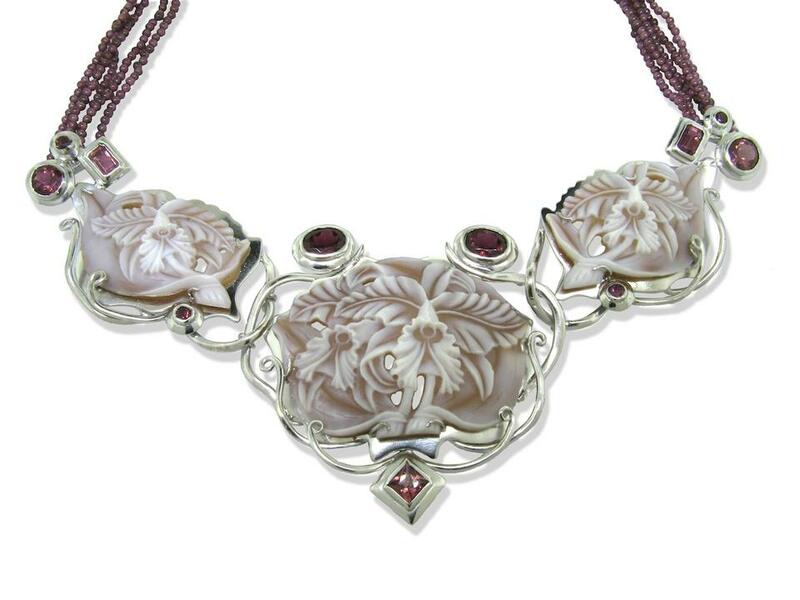 Illustrated in Gems & Jewellery Magazine, Nov/Dec 2015, "Cameos of the Rainforest" by Helen Serras-Herman.